How do Sonoff devices work? A while ago Jan Almeroth have done excellent research on how Sonoff devices operate. Thanks to his (and many others’) work, projects like SonOTA are now possible. I’ll try to summarize the information in this article. The server persists device/app information in a database and plays a mediation role between devices and apps. query – used by devices to query parameters like timers, switch state etc. update – used by devices to send their actual state like switch state, sensor data etc. upgrade – informs the device that updated firmware is available. The request contains download links. The device will download specified binaries and will perform auto update. This is the so called OTA. It seems that Itead had extended the IoTgo platform with a device dispatch hook. They’ve added an intermediate server (let’s call it a Dispatch Server or DS) that redirects sonoffs to the actual IoTgo server. This gives them the opportunity to perform device load balancing based on geo-location. I supposehbInterval specifies the heartbeat interval. Some sonoff models report their presence but not all of them. I’ve played with different values but it haven’t changed anything. According to IoTgo specifications device id should include a number representing device’s type. From this point on your sonoff is ready to serve requests. I’m not sure if they strictly obey the hbInterval configuration parameter. I could not find a way to force the sonoff to report sensor’s values (via query command). Observe thatsequence field contains the value from the initial request. To setup timer once, you should send type=”once” and at=time in ISO format. To setup repeat timer, send type=”repeat” and at=time in CRON format (e.g. “* * * * * *”). where d.timers is array of timer objects. As you can see there are a few differences – I’ll try to test it when I get a moment. This is the magic OTA (over-the-air) update. The device will download firmware images and will update itself. Interestingly sonoffs do not verify checksum nor server’s certificate. That allowed the community to perform custom firmware replacement via the original OTA mechanism – SonOTA. Unfortunately that have changed as of FW version 1.6. In the next article I’ll show you how to trick your sonoffs to use a local IoTgo server. This entry was posted in Arduino, Embedded Systems, Uncategorized and tagged 10A, 16A, Configuration, esp8266, Espurna, OTA, Protocol, Sonoff, Sonoff basic, Sonoff Dual, SonOTA, TH10, TH16 by powerled. Bookmark the permalink. Your article is very interesting. 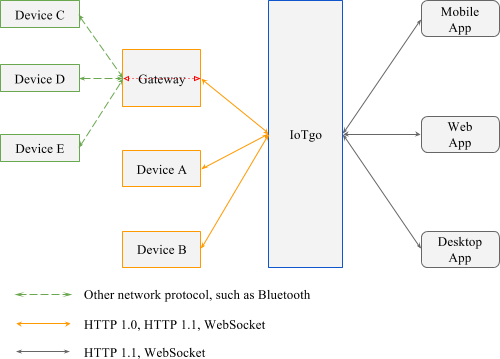 Will you write another article to show how to trick your sonoffs to use a local Iotgo Server, as you said ? I’m currently writing that article. It should be published very soon! but it doesn’t work. I have no response for this request (timeout) and the IP of the server stays the same. My firmware is 1.6, maybe this request changes : verification of certificat… ?